The release of this series of Job Aids has been hailed by many as a new era of communication and understanding between the Internal Revenue Service, taxpayers, and practitioners. However, in the opinion of this author, and others, releasing these additional documents in such a formal manner seems to be an attempt to influence practitioner behaviors in specific practice areas without statutory support. As was the case with the earlier Job Aid on Discounts for Lack of Marketability, the newest Job Aid contains little new information. Predictably, the position of the Internal Revenue Service in the Release is based primarily on a series of five primary Tax Court decisions dating back to 1999. That year, the Tax Court first decided Gross, a case that forever changed the landscape for valuing equity ownership positions in electing S corporations by disallowing the tax-affecting of an economic benefit stream attributable to the valuation of a non-controlling ownership interest. In this first of a two-part series article, the author reviews the leading cases on the topic and underscore the importance of understanding that these cases do not involve controlling interest transactions, which differ significantly from non-controlling interests transactions. Once again, the Business Valuation community has been made privy to two internal “Job Aids” intended primarily for use by Internal Revenue Service Valuation Analysts. These documents were prepared by representatives of the Large Business and International Division NRC Industry, Engineering Program and the Small Business/Self-Employed Division, Estate and Gift Tax Program. The first document, Valuation of Non-Controlling Interests in Business Entities Electing to be Treated as S Corporations for Federal Tax Purposes, is the subject of this article. The second document, Reasonable Compensation, will not be addressed herein. The October 29, 2014 release of these documents is not the first time that internal Agency documents have been made available to practitioners and taxpayers outside the Internal Revenue Service in recent years. The first occurrence was in the summer of 2010, when a similar document titled Discounts for Lack of Marketability: Job Aid for IRS Valuation Professionals was first inadvertently “leaked” to the business valuation community. On September 1, 2010, the initial DLOM Job Aid was officially posted to the Internal Revenue Service website. 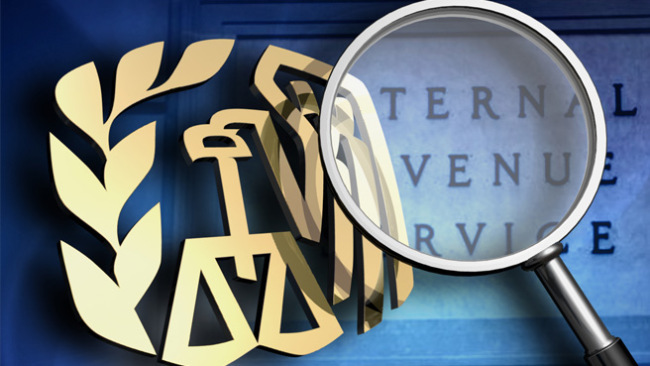 The two recently-released Job Aids are also on the Internal Revenue Service website. The release of this series of Job Aids has been hailed by many as a new era of communication and understanding between the Internal Revenue Service, taxpayers, and practitioners. However, in the opinion of this author, and others, releasing these additional documents in such a formal manner seems to be an attempt to influence practitioner behaviors in specific practice areas without statutory support. The front cover of each Job Aid specifically notes: “not Official IRS Position” and “prepared for reference purposes only.” Further, the cover qualifier of each Job Aid adds that, “it may not be used or cited as authority for setting any legal position.” If one were to approach the impact of the document from the point of view of a tax professional, he or she might argue that the content of the documents is nothing more than a compendium of information already available in the history of these two issues. As nothing is precedential in these releases, the content must be viewed with a cautious eye and an understanding that, while the Internal Revenue Service may be instructing its internal team to follow the path of the information contained therein, that information is in no way intended to be a legal requirement, or even free of taxpayer challenge as to technical propriety. As was the case with the earlier Job Aid on Discounts for Lack of Marketability, the newest Job Aid contains little new information. Predictably, the position of the Internal Revenue Service in the Release is based primarily on a series of five primary Tax Court decisions dating back to 1999. That year, the Tax Court first decided Gross, a case that forever changed the landscape for valuing equity ownership positions in electing S corporations by disallowing the tax-affecting of an economic benefit stream attributable to the valuation of a noncontrolling ownership interest. The Tax Court followed up the Gross decision with four cases that will be discussed briefly below. Suffice to say, in general, each of those cases served to attack traditional valuation protocol of reducing expected future economic benefit streams for the economic effect of entity-level income taxes in the valuation of a noncontrolling S corporation equity ownership interest. As time has passed, several additional cases have piggy-backed on the general thinking of the Court in the earlier decisions. This consolidated case involved a deficiency of gift tax for the year 1992 with the common question posed as to the value of certain shares of corporate stock transferred by gift. The shares transferred represented gifts of small, minority interests of G & J Pepsi-Cola Bottlers, Inc., an Ohio corporation that elected in 1982 to be taxed as an S corporation under the Internal Revenue Code. The expert for the taxpayers argued for reduction of the earnings stream of the S corporation by an assumed corporate tax rate of 40%. The expert then capitalized that earnings stream by a rate commensurate with equivalent Subchapter C corporations. Thus, he felt he had matched after-tax earnings with an after-tax capitalization rate. The expert for the government applied a similar thought process with one critical distinction. He assumed the corporate tax rate was 0% since he foresaw no reason to expect the corporation’s S corporation status would not continue. Further, the expert dismissed the taxation of the corporate earnings at the shareholder level as irrelevant. It is also important to understand the government’s expert also used an after-tax discount rate, arguing that the entity-level earnings had previously been tax-affected by a rate of 0%. Thus, he, too, argued he was properly matching after-tax earnings with and after-tax risk rate. The Court agreed with the government’s expert and disallowed the tax-affecting of the earnings stream, thereby substantially increasing the value of the gifted shares. Note there were several important (and distinguishing) facts present in the case that influenced the Court’s decision, including the fact the company distributed far more cash flow (approximately 100%) than necessary to fund the individual shareholders’ annual tax liabilities on the passed-through income. Thus, under the S corporation tax regime, these excess amounts were found to essentially represent tax-free dividends. Additionally, an agreement restricting the transfer of the G & J shares by and among the members of the Gross family group existed at the date of the gifts, with express provisions restricting transfers that could compromise the company’s S corporation status. Consequently, continued maintenance of the company’s S status was deemed by the Court to be assured, thus preserving the associated tax benefits. These distinguishing facts were critical in properly assessing the issue in this case and are repeated throughout the cases that followed and the narrative in the Job Aid. In this case, a dispute arose over the value of nonvoting capital stock transferred in January 1992 to a number of trusts, with the taxpayers’ children named as beneficiaries. The taxpayers and the Internal Revenue Service each presented expert reports with both experts using market-based and income-based approaches to value the shares. Interestingly, in this case, both experts tax-affected the future cash flow projections. The taxpayers’ expert used a hypothetical income tax rate of 34%, while the expert for the Service applied a rate of 40%. The case contains comments on the testimony of the taxpayers’ expert regarding general disagreement within the business valuation community on the matter of tax-affecting. The opinion notes those advocating tax-affecting, argue that the most likely buyers for an S corporation may not meet the Internal Revenue Code qualification requirements to maintain S corporation status and the S corporation benefit, if any, would be lost. The opposing and contrasting argument addressed in the case is that the use of fully-tax-affected cash flow streams discounted by an after-tax rate of return attributes no value whatsoever to the associated tax benefits of S corporation status. Ultimately, the opinion of the Tax Court dismissed the tax-affecting by both parties’ experts, citing the Gross decision. At issue in this case was the valuation of 630 shares (a 39.6% noncontrolling, nonmarketable S corporation stock interest) in F. Korbel and Bros., Inc. (Korbel) at the date of death of a decedent. Neither expert in this case tax-affected the earnings of Korbel. The calculation prepared by the taxpayers’ expert was based on the pre-tax earnings of Korbel that were discounted by an after-tax weighted average cost of capital. Thus, the expert did not tax-affect the cash flow stream. The expert for the Service used a similar discounted cash flow method and an after-tax weighted average cost of capital. Numerous differences within the details of applying the methodologies were challenged and modified with the Court adopting certain positions of each expert’s calculations. Alternatively, the expert for the government determined a 15% discount for “liquidity” was appropriate, as well as a 10% S corporation discount. The S corporation discount was intended to compensate for risk associated with the uncertainty that the S corporation would distribute sufficient cash flows to meet the shareholders’ tax liabilities arising from the pass-through of the corporate income; and whether Korbel’s S corporation status could be maintained throughout a hypothetical sale. He also included a 25% discount for lack of marketability. The Court decision notes the expert for the Internal Revenue Service seems to view the S corporation status as a benefit, but “fail[s] to quantify the relevant advantages and disadvantages.” In the end, the Court adopted the estate’s expert’s findings and approach, and applied a 35% discount for lack of marketability to the entire business operating value, plus all nonoperating assets. In effect, all operating and nonoperating assets of the company were discounted by this amount. The Adams case is an estate tax case wherein valuation of an S corporation ownership interest was, again, at the center of the dispute. In this case, the expert for the estate utilized the income approach and the capitalization of cash flows method allowable thereunder. Instead of electing to tax-affect the S corporation earnings in this case, the expert developed an after-tax discount rate using the Build-Up Model (BUM) and then converted the derivative capitalization rate to a pre-tax capitalization rate. The expert’s assumption in converting the capitalization rate to pre-tax was that the S corporation earnings of the subject company were also pre-tax and, by making the conversion, he was properly matching the capitalization rate with the before-tax prospective earnings streams. The Court disapproved of the treatment adopted by the estate’s valuator and, although the Court acknowledged the estate’s expert as being “more thorough”, it deemed the methodology employed by the expert to be in error. Citing Gross once more, the Court reasoned the S corporation earnings stream had been tax-affected at the corporate level and, in fact, the rate at which the earnings stream had been tax-affected is zero. Thus, use of a pre-tax capitalization rate, under this analysis and opinion, results in a mismatch of a pre-tax rate against after-tax earnings. A significant fact that distinguishes Adams from the earlier cases is the equity ownership interest under valuation was a 61.6% controlling, nonmarketable interest. It is the only case in this series of decisions that includes this distinguishing feature. This decision was rendered after an extended four-year break in the issuance of a new Tax Court case addressing the S corporation tax-affecting issue. Dallas is a gift tax case in which many of the key facts, as well as the Court’s final finding, parallel those set forth in the Gross decision. Among a number of complex issues associated with the determination of value of the subject equity ownership interests, the issue of tax-affecting represented a major hurdle for the taxpayer. The taxpayer provided expert reports from two appraisers, both of whom tax-affected the earnings of the subject company in determining value. The first expert used an income tax rate of 40%, while the second used a rate of 35%. The fundamental precept argued in the case was that the corporation would lose its S corporation status after a hypothetical sale of the company’s stock. In addition, the experts argued the facts in Dallas were distinguishable from Gross in that cash distributions in the attendant case were specifically tied to income taxes due from shareholders as a result of the passed-through income, whereas, in Gross, almost all of the earnings were distributed annually. The Court rejected both arguments. First, it ruled there was no evidence presented to suggest that the Company would have expected to lose its status as an S corporation at any point. Second, the Court’s opinion noted the Company had a long history of distributing sufficient cash to meet all attendant tax obligations, and there was no evidence presented that would suggest the practice would end. Finding the taxpayer’s experts “unpersuasive,” and noting “there was insufficient evidence the hypothetical parties would tax-affect the S corp earnings,” the Court ruled that tax-affecting the Company’s earnings was not appropriate. Several more-recent federal court cases, including Gallagher and Guistina, have resulted in a disallowance of tax-affecting, but the foundational blocks for the current position of the Internal Revenue Service can be easily identified in the five early cases discussed above. A critical, common thread in all of the cases (except Adams) is that the equity ownership interests under valuation are all noncontrolling. This is an exceedingly important distinction, in that the hypothetical buyer for a noncontrolling interest in an S corporation is likely to be vastly different than the hypothetical buyer for a controlling interest. This basic precept appears to serve as the basis for the newest Job Aid developed by the Service. Little mention is made of controlling interests in the Job Aid and since “non-controlling” is part of the title of the Job Aid, it seems fair to assume that the information contained therein may not be relevant or applicable to the valuation of controlling interests in S corporations. Robert J. Grossman (Bob or Mr. Grossman) heads Grossman Yanak & Ford, LLP’s Tax and Business Valuation Groups. The firm is based in Pittsburgh, PA. Mr. Grossman has over 35 years of experience in tax and valuation matters that affect businesses, both public and private, as well as the stakeholders and owners of these businesses. The breadth of his involvement encompasses the development and implementation of innovative business and financial strategies designed to minimize taxation and maximize owner wealth. Mr. Grossman can be contacted directly at: (412) 338-9304 or by e-mail at: grossman@gyf.com.